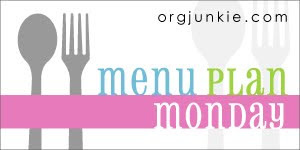 Last week we found some new recipes that we really enjoyed. The Japanese Chicken and Japanese Salad were fantastic and we enjoyed the Loosemeat Sandwiches for a second time. Definitely recommend both of these. Friday -- Sweet 'n Sour Chicken - (scroll down to Chinese for the recipe) thanks Rachel!